It's Tuesday! I am participating in the Tasty Tuesday blog hop this week. I am joining some other fine folks that you will see below. Please make sure to stop by their sites to see what they are cooking up today. It will make your pets tummy happy and tail wag with delight. As you see, I have my Christmas cooking outfit on. Its the magical time of the year when all good puppies and kitties look forward to Santa Paws visiting. I look forward to all the yummy goodies that come my way. I want to remind you that with all those extra treats, you need extra exercise. 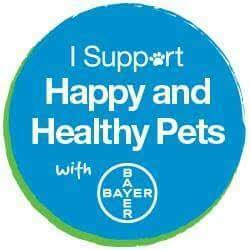 This goes for humans and pets. Parents, get those leashes out and take an extra walk or a longer with your dogs, maybe play some chase inside the house or if you have a treadmill; you can put it on the lowest speed and let your dog "take a walk" inside. Extra pounds are hard on the heart and body so lets stay healthy!! Walking with the family after dinner is a family friendly activity that helps to keep the family bonded and its so dog gone fun! For this treat, I had the help of my sissy Sarah. Since I am not allowed to use the stove or put my paws in the bowls, I need the help of a human. We got this recipe from a recipe book that we recieved from WiggleButts Go Hollywoof. 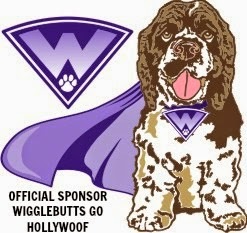 You can click the blue link to see what WiggleButts was all about. Put all ingredients in the bowl and mix throughly together. You may have to add a little flour to make the dough workable. Put some flour on the area or use wax paper where you will be rolling out the dough. Roll out dough to 1/2 inch thick and cut with cookie cutters. If you don't have cookie cutters, you can use a glass to cut the dough into circles. Bake for 20-25 minutes. You want them to be golden brown. They will be soft when they come out but as they cool they became crunchy on the outside and chewy on the inside. Ours came out a little thick so I would recommend that you roll them out a little thinner like 1/4th inch instead of 1/2 inch. Sissy also put some of the leftover batter in our silicone heart freezer trays and she froze it. Jenny Sue loves the frozen version as much as the baked cookies. 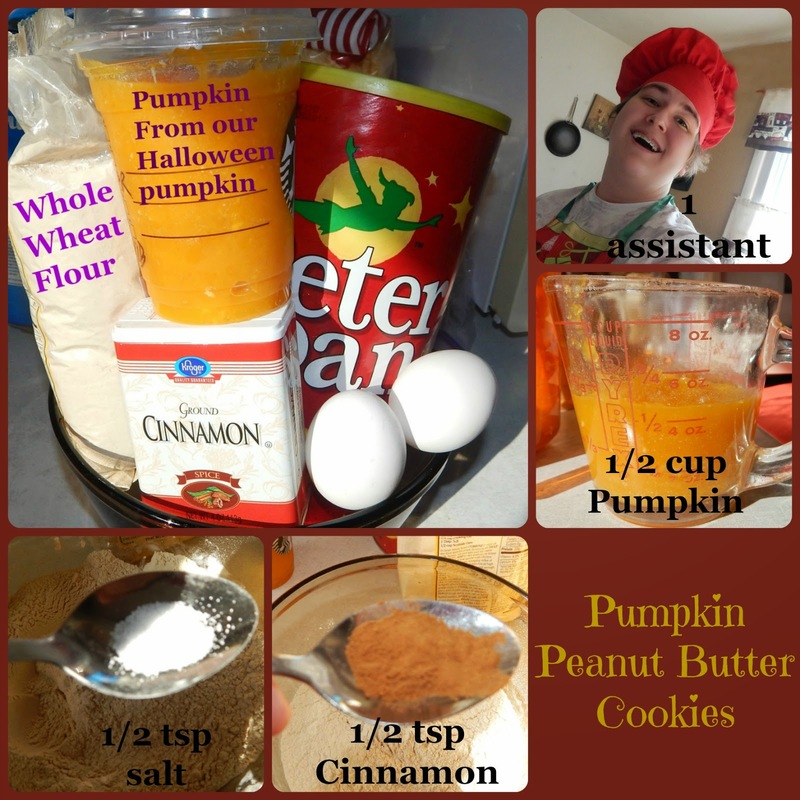 I do not like pumpkin or peanut butter so I passed on eating these. Jenny Sue was happy about that because that meant there were more for her to enjoy. BOL! Cinnamon even liked them! He gets a tiny bit of a cookie at night. 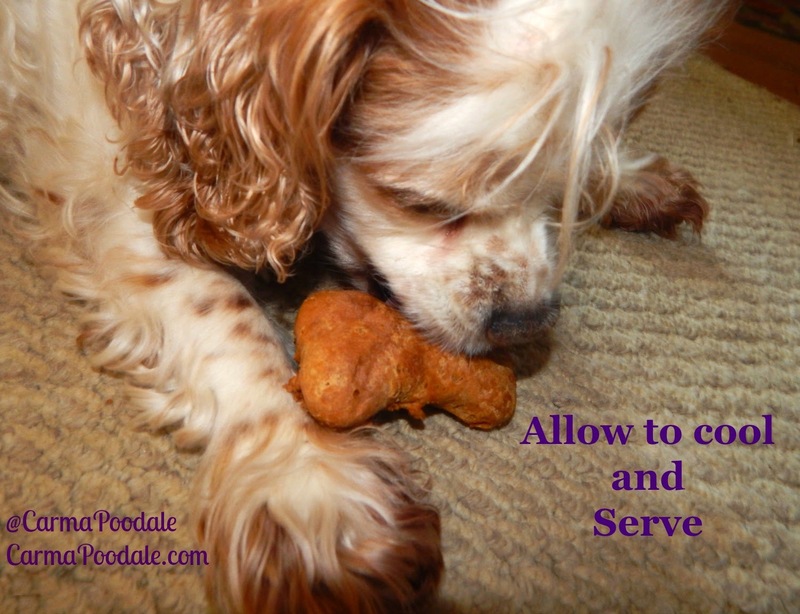 Does your pets like pumpkin and peanut butter? Do you think they would like these? 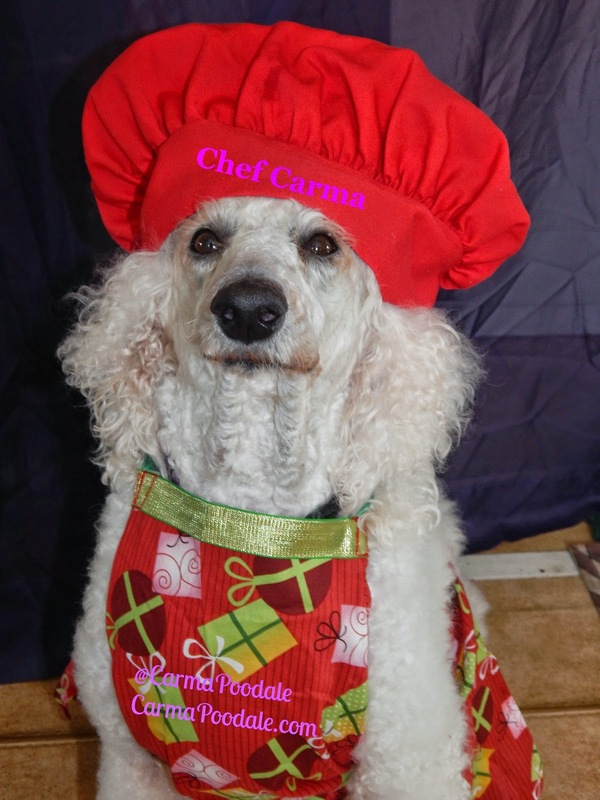 I hope you enjoyed this segment of "Cooking with Carma"
Have a tail wagging Tuesday!!! *You can also use canned pumpkin that can be purchased at most pet stores.We have found it at PetSmart before. Do not use pumpkin pie filling." 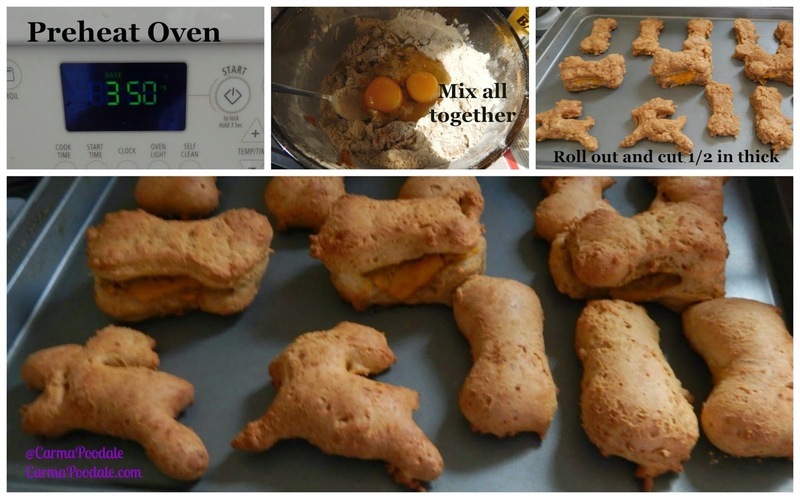 Oh yes, my puppies would love them, except when I bake, I like to bake for me. BOL Happy Thanksgiving Carma!! I wish Mom will bake som of theese delicous looking cookies to us.